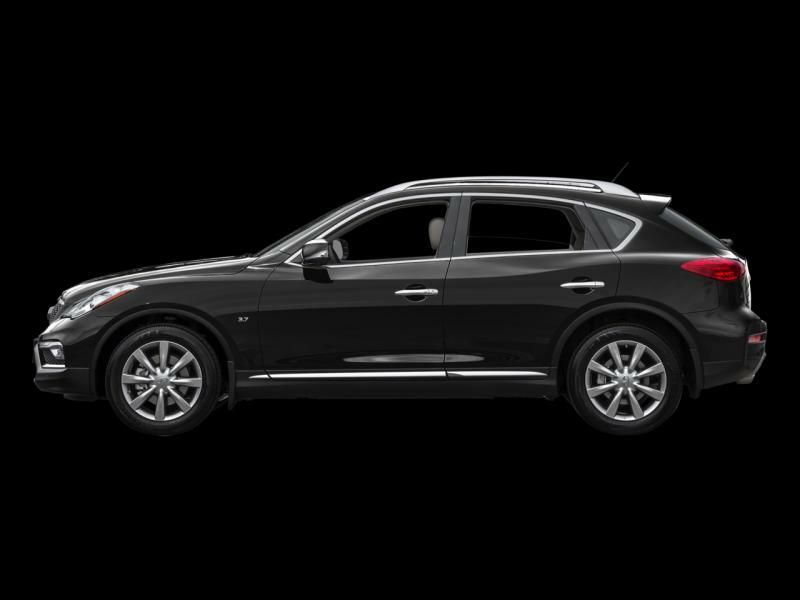 This Infiniti QX50 is one of the most engaging small luxury crossovers in its competitive segment. This 2016 INFINITI QX50 is fresh on our lot in MISSISSAUGA. Poised with an intimately tailored interior and technologies engineered to intuit your needs, this Infiniti QX50 is designed to be the ultimate expression of you, the individual. Every thoughtful detail seems to have you in mind even before you enter the vehicle. An impressive V6 engine delivers energizing performance while you ride in comfort. With a stylishly sleep, coupe-like exterior attracting all the right kind of attention, your QX50 won’t be the only one seeking a closer connection with you. This coupe has 43581 kms. It's black obsidian in colour. It has an automatic transmission and is powered by a 3.7L V6 24V MPFI DOHC engine. It has some remaining factory warranty for added peace of mind. $187.66 with $0 down for 84 months @ 6.99% APR O.A.C. ( taxes included, Plus applicable fees ). See dealer for details.